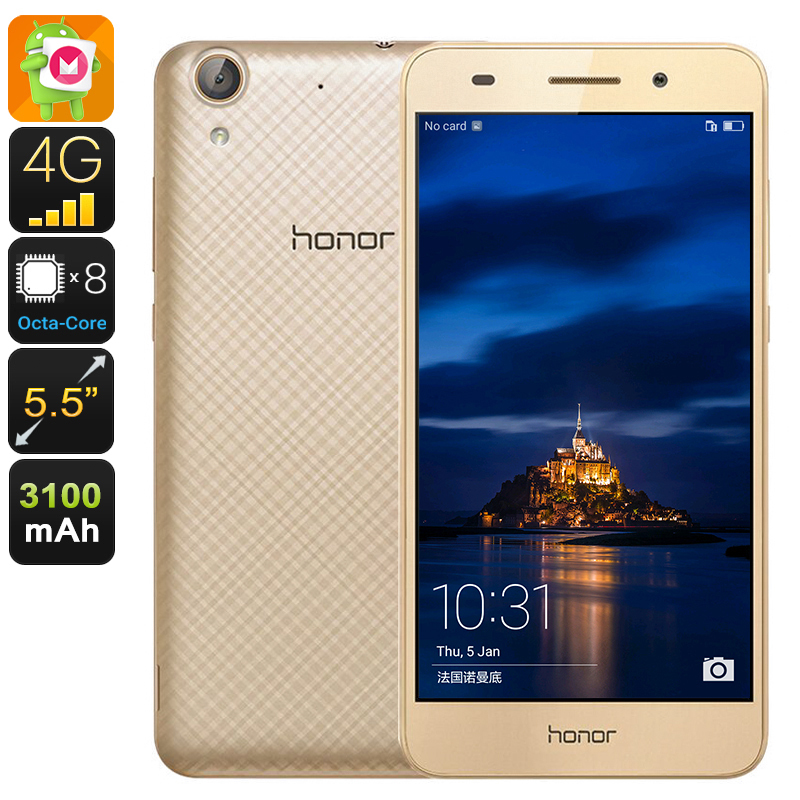 Successfully Added Huawei Honor 5A Smartphone - Octa Core CPU, 2GB RAM, 5.5 Inch HD Display, Android 6.0, 3000mAh (Gold) to your Shopping Cart. 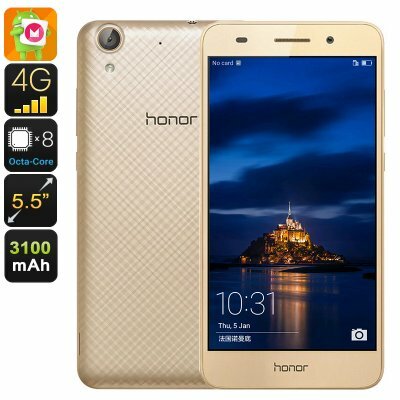 The Honor 5A is an affordable Smartphone from this big Huawei brand and brings some sensational specs for its cheap price tag. Aimed at the lower end of the smartphone market this Smartphone comes at a little over $100 and with 4G support a 5.5-inch screen and impressive CPU performance it is set to be a real winner for the smartphone giant. Under the hood is an Octa-Core Kirin 620 processor, 2GB of RAM, and Mali 450 GPU that brings a lightning-quick performance. This ensures the Honor 5A can handle games and multitasking with ease. The 16GB of onboard memory can be complimented by a colossal 128GB from the micro SD card slot so there is no shortage of storage space on this exceptional smartphone. A 5.5 inch LCD IPS display brings 720p resolutions that are vivid and bright so you can enjoy an immersive experience with movies and games. Running on Android 6.0 with an EMUI 4.1 interface offers an enhanced navigation and control experience that combines all the benefits of android marshmallow with Huawei's very own intuitive interface. The Honor 5A has two sim ports that support 4G connections so you can enjoy fast download speeds on the go and stream movies with ease. For a low budget phone, the Huawei really impresses with its 13MP rear-facing camera and an 8MP front-facing selfie camera. The 3000mAh is quick to recharge and brings extensive usage times so you can easily go the whole day without running out of juice. The Huawei Honor 5A comes with 12 months warranty, brought to you by the leader in electronic devices as well as wholesale Android Smartphones..